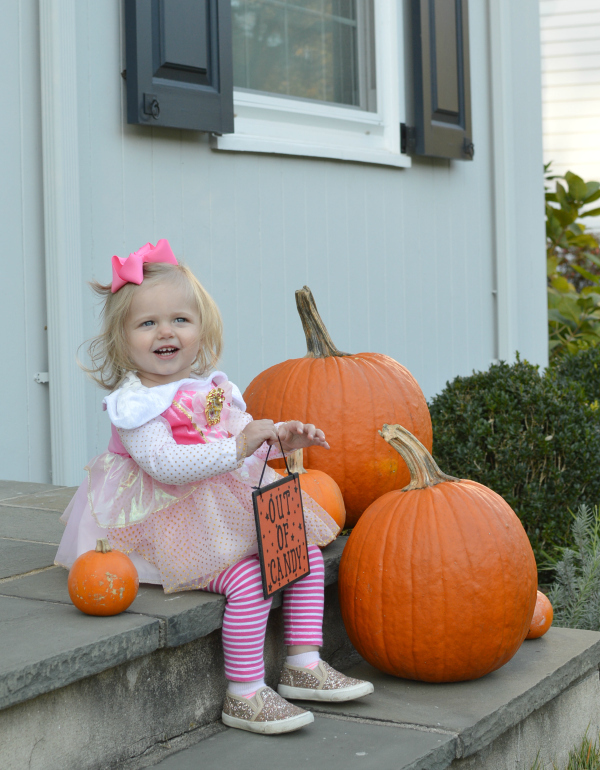 First Halloween in our new house down! 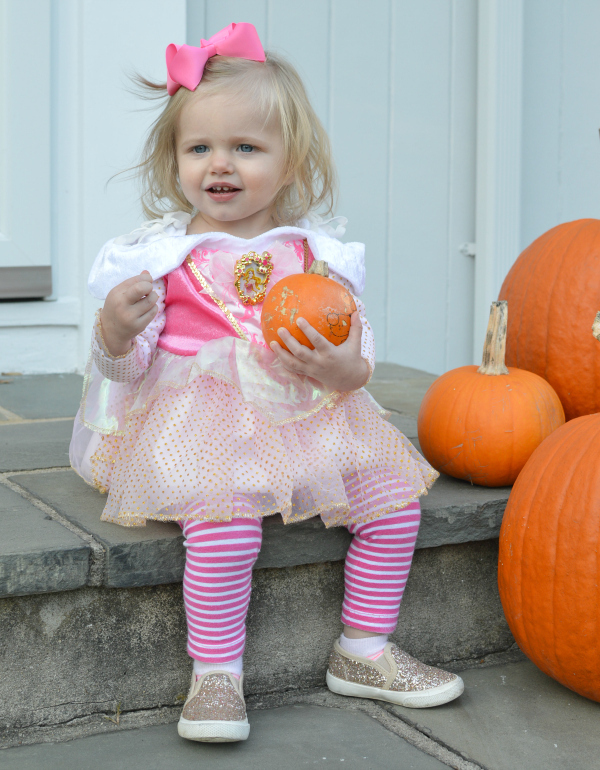 I loved seeing Miss Lexi hand (throw) out candy to the trick or treaters and dance to spooky Halloween tunes. Ted and I have worn our Oktoberfest attire from Germany every Halloween for the past 4 years so it was fitting for Lexi to join us. 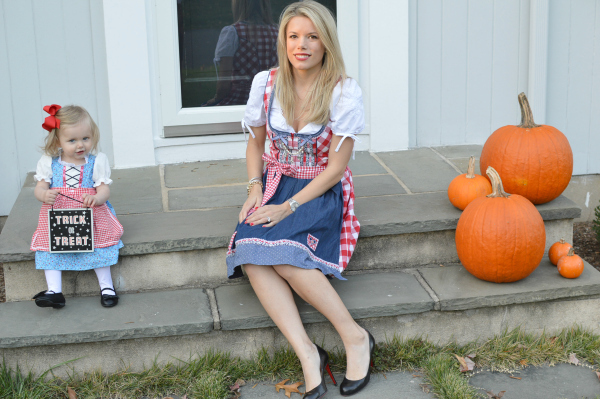 (I told Ted when he made the investment in his lederhosen to think about the cost per wear and it would be worth it.) We dressed up on Saturday night for a party in the city and admittedly I got dressed up again on Tuesday just to take this picture. Lexi had fallen asleep before we had the chance the first round. Someone refused to sit next to me... haha. I can't wait to show her this when she's older. 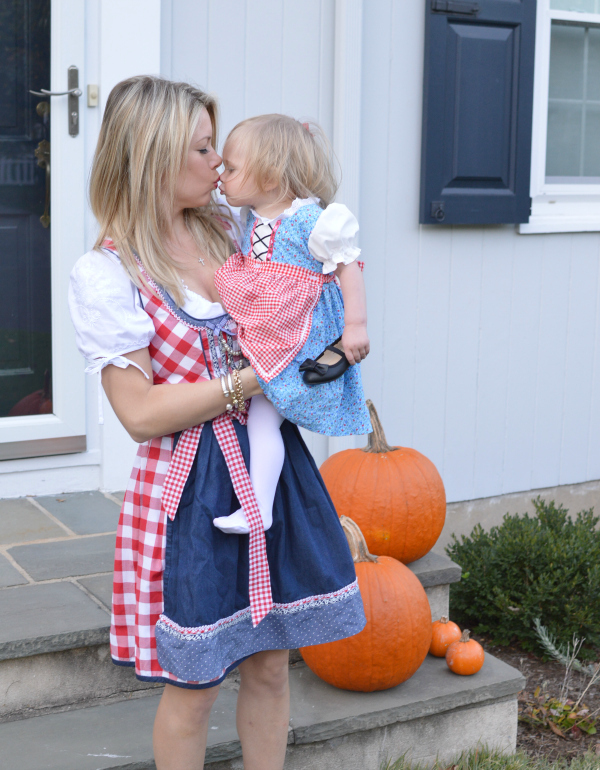 I found the cute toddler sized dirndl on Etsy. It can also double as Little Red Riding Hood costume.